Attaches to any mic stand boom. Prevent vocal plosives with this adjustable 6 in. 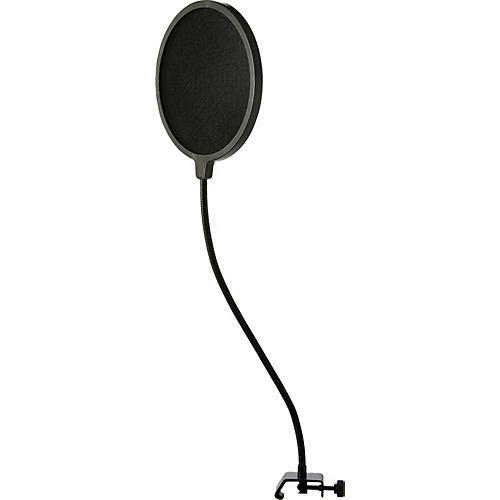 pop filter with gooseneck and clamp. The specially designed micro-weave nylon filter diffuses the harsh characteristics of the voice without altering its natural sound. Unprinted for even diffusion. The gooseneck allows for precise positioning.